This year's Rocky Hill meet was the biggest ever with 106 members signed in. The winter of 2009-10 was TERRIBLE in New England and it is believed that severe cases of cabin fever probably contributed to the overwhelming attendance! The weather for the meet was chilly with temps in the high 30s, but at least it was dry - no snow or rain. Temperatures warmed up a bit as the day went on making it to the high 40s by the end of the day. 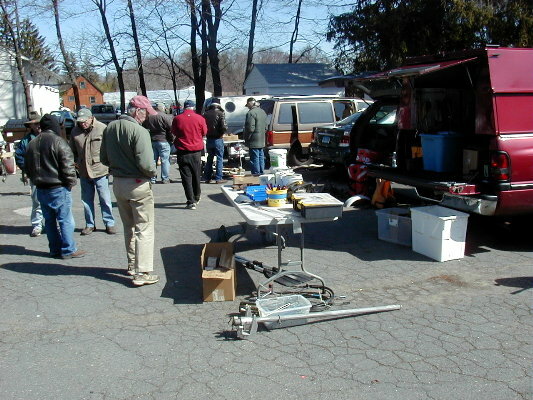 Without doubt, Rocky Hill has become the Yankee Chapter's premiere swap meet. Members from as far off as the mid-atlantic states and PA were in attendance - Henry C. made it all the from TN. 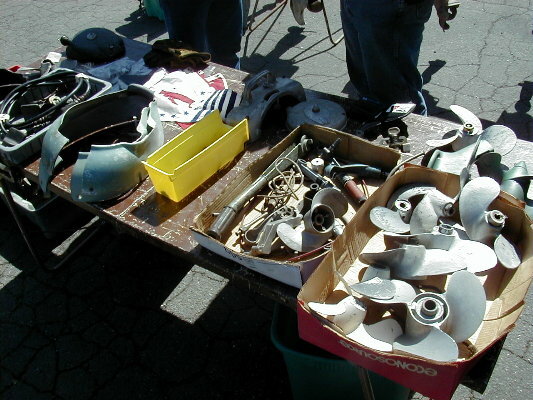 Lots and lots of old iron, parts, literature and, well... JUST PLAIN STUFF found new homes. This correspondent ended up running around and talking with so many folk's that I can't even remember 1/2 of the motors that changed hands! 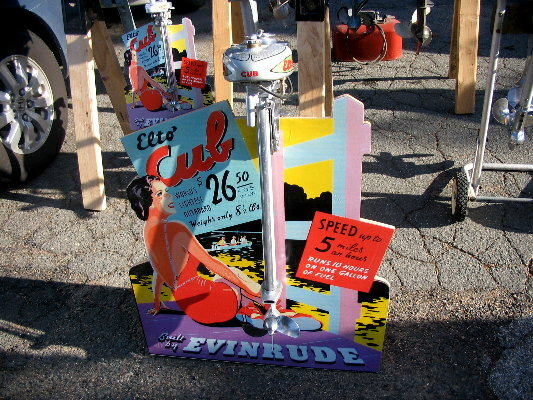 Suffice it to say that if it was outboard related, it probably was displayed, sold or purchased at the meet! 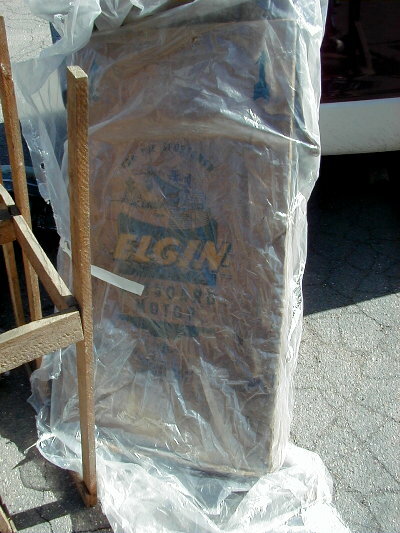 Art R. from New York was kind enough to donate a beautiful Martin 40 for our raffle. 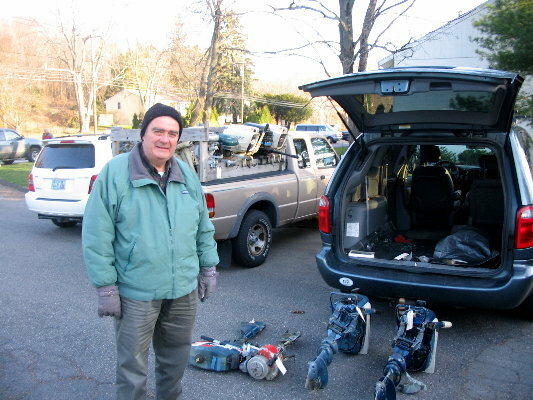 (Art has been an excellent supporter of the Yankee Chapter and hosted a BBQ at our formal meet a couple of years back!) 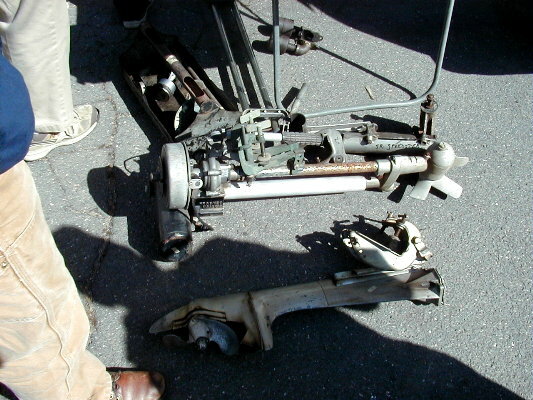 Also donated was an Eska 5hp by Will G. that looked like with some gas it would run. 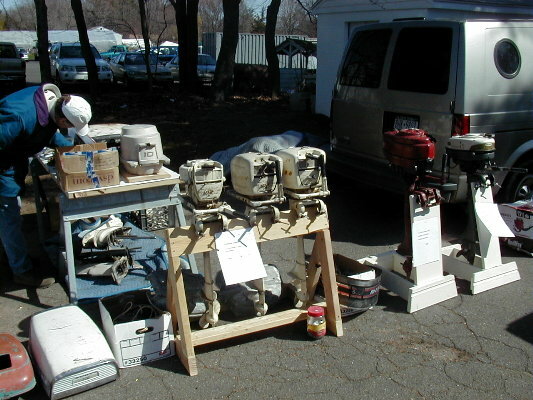 With two great motors like these, interest in the raffle was terrific. The Eska was won by Wayne B. and a smiling Rick W. from NH won the Martin. 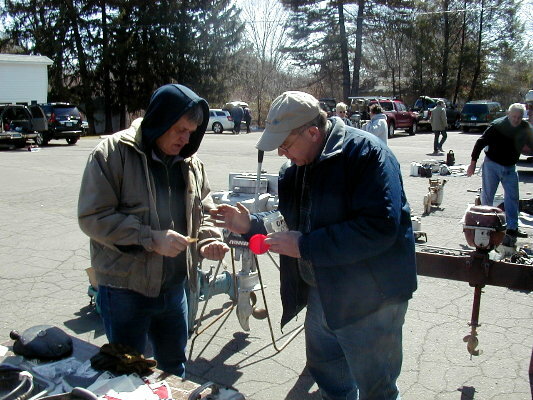 This meet was started in 2006 by Frank P. - continuing the 13-year tradition stared by his aunt & uncle Walt & Maureen L. The past 4 years Frank did a super job, found us the nice people at the Bennino-Beck VFW Post 2138 to hold the meet, started the tradition of having a raffle to help offset the cost and more! 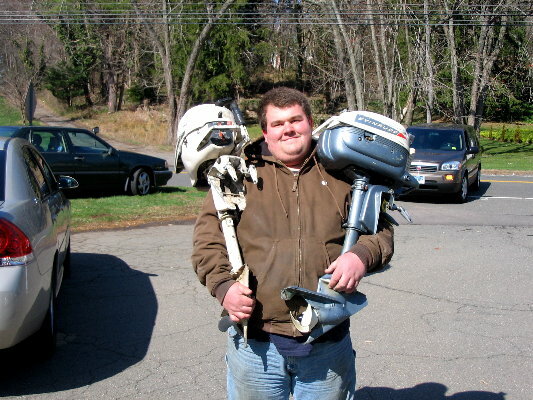 However, after last year's meet Frank decided it would be his last - the Yankee Chapter owes him a big debt of THANKS!! We put out a request for a new host and Tom C. answered the call, Tom did a great job and is looking forward to next year being even bigger & better. Thanks to the great folk's at the VFW for providing us with such a fine place to hold the meet, a fine lunch and the cleanest bathrooms in central CT! Thanks to Ray S. and Harry S. who contributed the photos below! 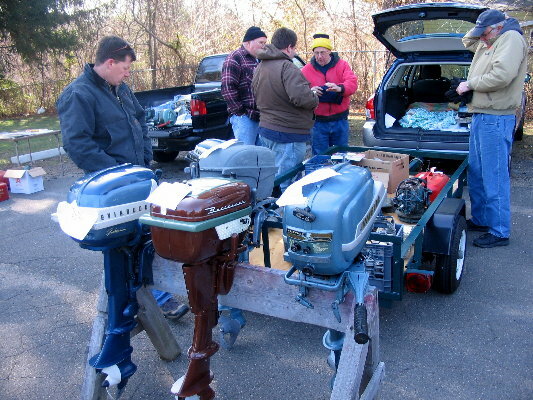 Bob G. testing his French mystery outboard as (l to r) Norm M., Will G. and Bill A. look on. Gary M. making the sale! 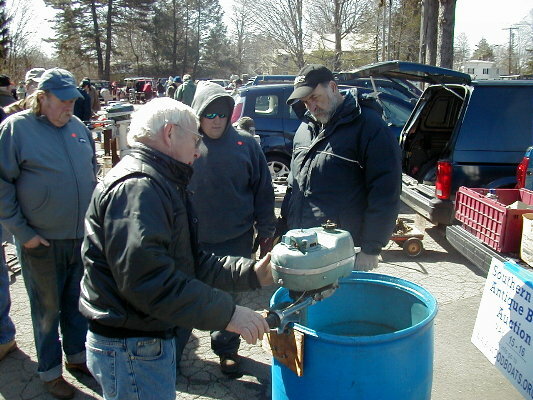 Rick W. won the raffle for the Martin 40 donated by Art R.
Rich C's NOS and restoration supplies. One of each! 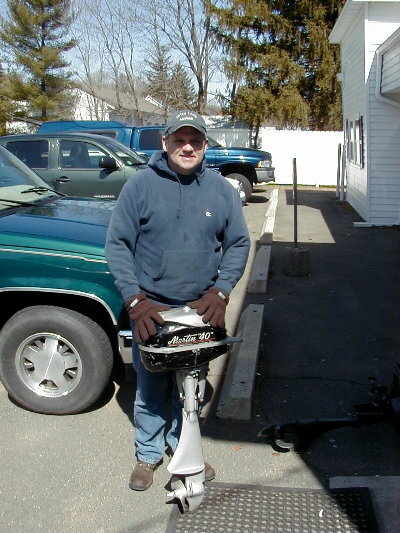 Tony C is the proud new owner of a Johnson JW and Evinrude Lightwin.